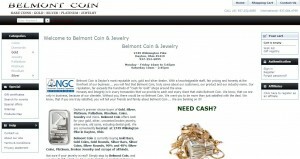 Belmont Coin address, phone, website, and more. 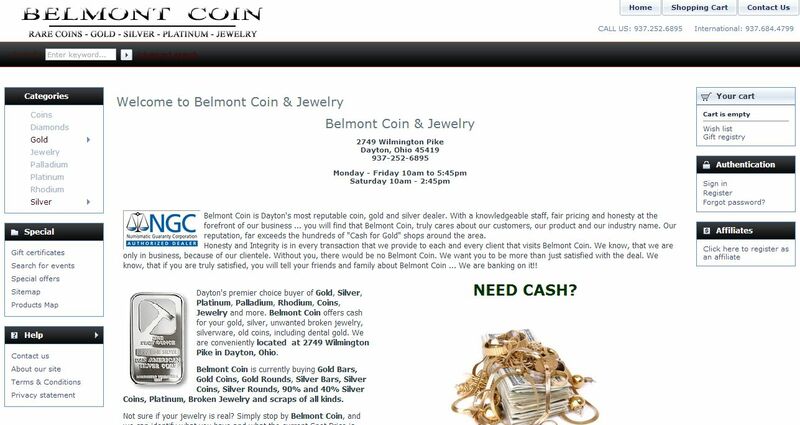 Belmont Coin is Dayton’s most reputable coin, gold and silver dealer. With a knowledgeable staff, fair pricing and honesty at the forefront of our business … you will find that Belmont Coin, truly cares about our customers, our product and our industry name. Our reputation, far exceeds the hundreds of “Cash for Gold” shops around the area. Honesty and Integrity is in every transaction that we provide to each and every client that visits Belmont Coin. We know, that we are only in business, because of our clientele. Without you, there would be no Belmont Coin. We want you to be more than just satisfied with the deal. We know, that if you are truly satisfied, you will tell your friends and family about Belmont Coin … We are banking on it! !